IRM is highly skilled in planning harvest & thinning operations under a range of environmental constraints and alternative silvicultural systems. 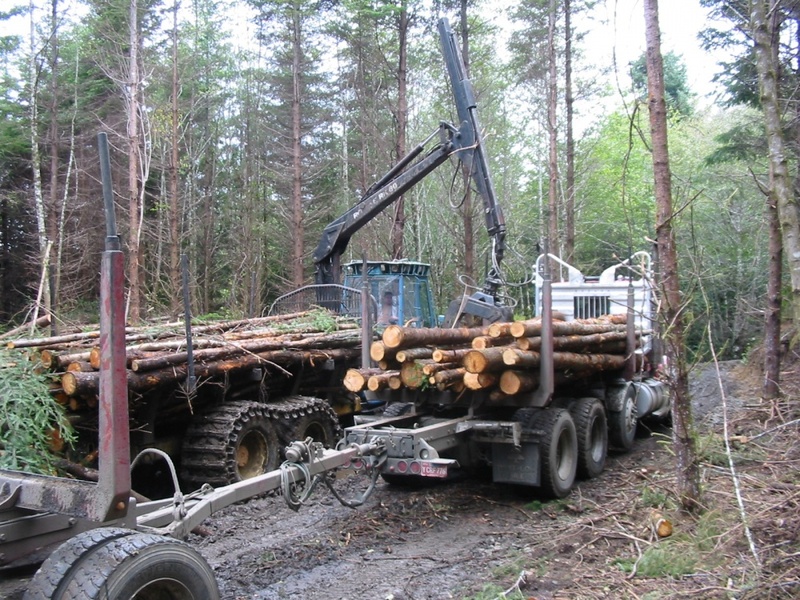 IRM works closely with certified loggers who use equipment that is very “light on the land”, such as the forwarder shown on the right. IRM uses professional foresters and silviculturists to mark trees, pre-designate skid trails, carefully design landings and haul roads, and closely supervise logging & thinning operations. Strict adherence to these standards consistently yields excellent “on the ground” results. Logging or thinning should be carefully planned and implemented to the highest of standards. Even well designed thinning prescriptions can cause major site degradation if inappropriate logging systems are used or operations poorly conducted.